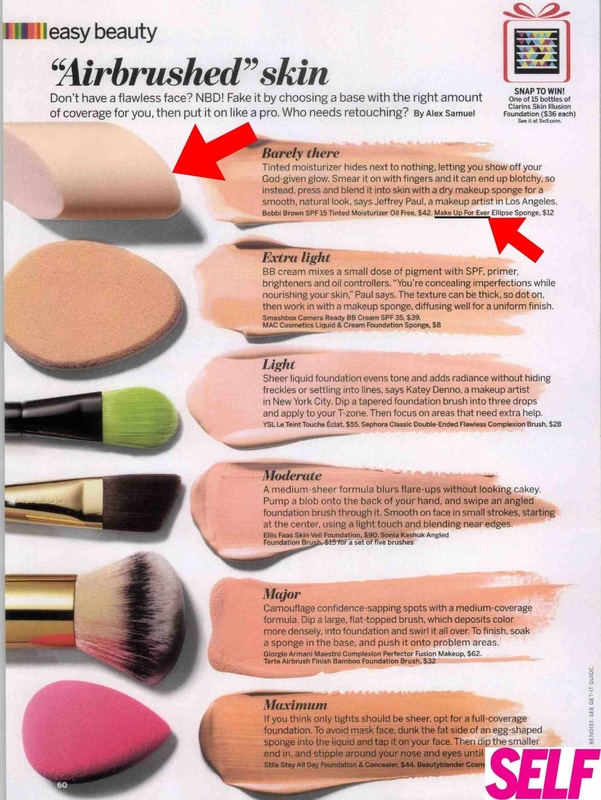 I’ve written and complained about cream blushes before. This is only because I was always unhappy with either the application of it or the texture. 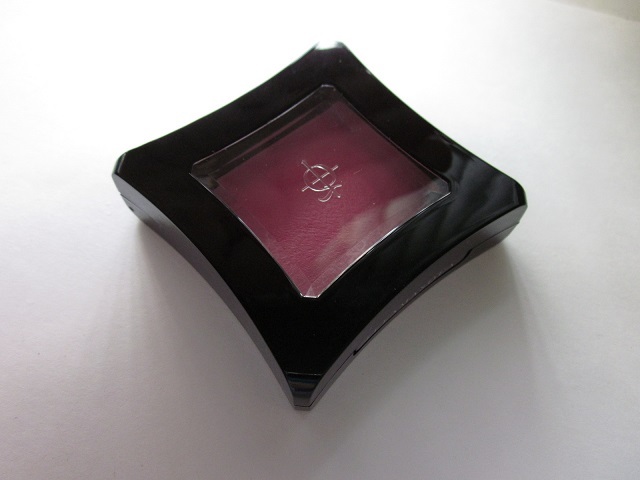 However, I think I’ve found the most perfect cream blush and I’m itching for more. 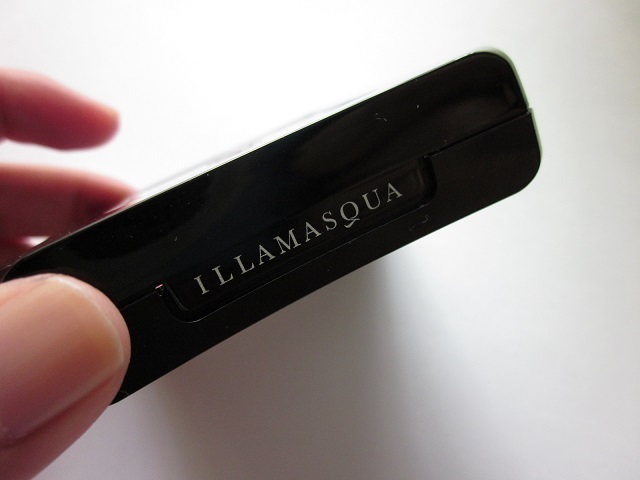 While I was visiting home, I went to Sephora and came across the Illamasqua section. I have to admit it was exciting to see the display in person! I purchased the cream blusher in “Promise” and it’s to die for. I recommend. HIGHLY. I don’t really like the packaging because it’s so bulky and big. The shape of it is odd, so it’s also difficult to store since it’s not really stackable. However, despite that, the snap closure is tight so the product doesn’t dry out. The color “Promise” is described as a “petal pink” shade; and, it runs slightly on the blue side of pink. I think that’s kind of a good thing though — because it has a subtle brightening effect that gives you a glow without being too obvious. The texture is creamy and soft — like butter. 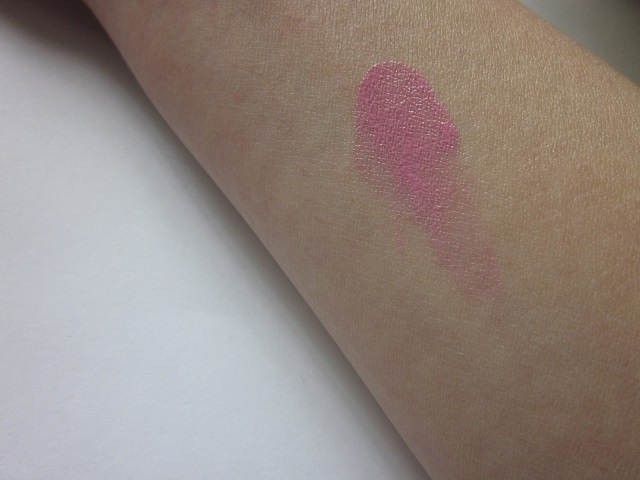 It’s pigmented, but not so much that it’s difficult to work with. It blends easily and beautifully without drying too fast, so you have time to work with it before it sets. I’ve used my fingers to blend when in a rush and the application was fine. I prefer to use a synthetic buffing brush (Real Techniques) and it does a great job at allowing the product to apply and settle in a natural way. The color itself is bright but can be tamed, as the product is quite buildable. While I like to apply this on top of a non-powdered canvas, it does well over powder foundation without disturbing the base. 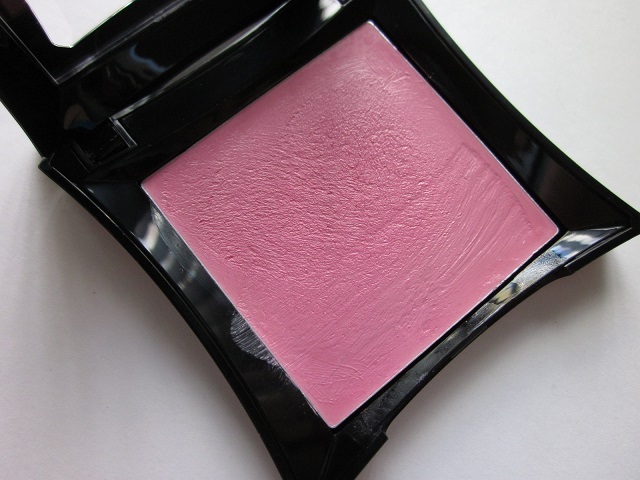 Basically, all forms of issues I’ve had with other cream blushes don’t seem to exist with this cream blush. And, I think that’s why I like it so much. The finish is so pretty and I think it will be perfect for the summer, especially with having a dewy, fresh base underneath. With all the different brands and various cosmetics items out there, it’s normally difficult to narrow down the must-haves list to just 10. But, when in a pinch or whilst traveling, sometimes keeping everything to a minimum can be helpful. 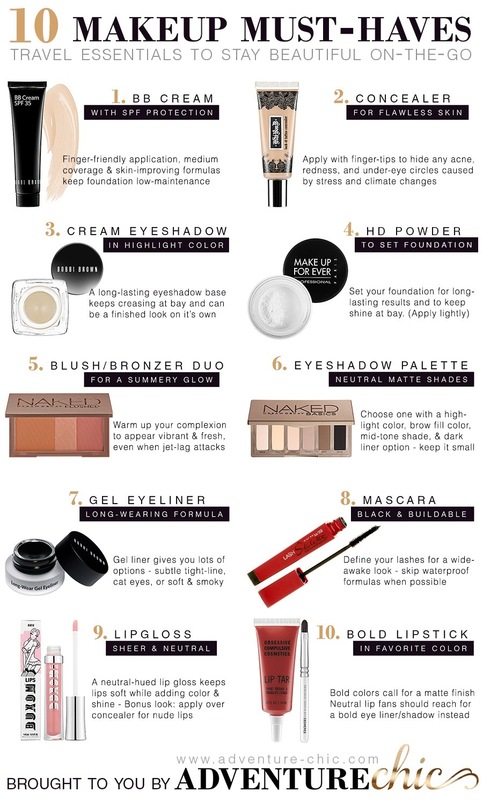 Also, another way of looking at this is that if you want to invest in some quality items and purchase the rest at a drugstore, this list can be handy for that as well. Depending on your own personal needs, this list is adaptable. But, no matter what, evening out your skin and protecting it from the sun, along with a trusty mascara can do wonders — even if you don’t apply anything else. I don’t think I’ve ever posted about Lush products and that’s because I’m a bit skeptical about their items. When Lush debuted in the U.S., it hit YouTube and the beauty blog world hard; and, I, just like everyone else, jumped fiercely on the bandwagon and went Lush-crazy briefly. A short while later, I didn’t find the products worth it because it got expensive. While the products did smell good and their brand philosophy was appealing — spending $7+ on a bubble bar that could be used once wasn’t cutting it for me. The face products made me break out and itch, and the body and hair products were mediocre and expensive for what they were. With that said, I took a long break from Lush products because no matter into how many pieces I cut up those bubble bars, I didn’t find the products worth the money. I recently re-visited Lush mainly just out of curiosity. I noticed some changes — new products and scents, and the packaging was more detailed with the ingredients listed and directions (finally) on the tubs. I spent some time exploring and walked out with an interest Shower Smoothies. I later returned to purchase it in Dream Wash, and I’ve been using it for about two weeks. Directions: Smooth all over your wet body in the shower, let the luxurious oils and butters go to work softening and cleansing your skin, and then gently rinse away. With calamine and chamomile, this is very soothing and gentle; and, the natural oils make this smell absolutely divine. It looks odd — kind of like mushy clay. I scoop some into my hands and then apply it to my body. It feels like adding lotion to your wet body and then washing it away; and, it smoothes, moisturizes, and cleanses your body all in one. The scent doesn’t linger, which is a bummer because it smells good. But this is great for when you’ve been out in the sun, or you’ve been itchy, or if your skin’s been irritated because it’s been dry. 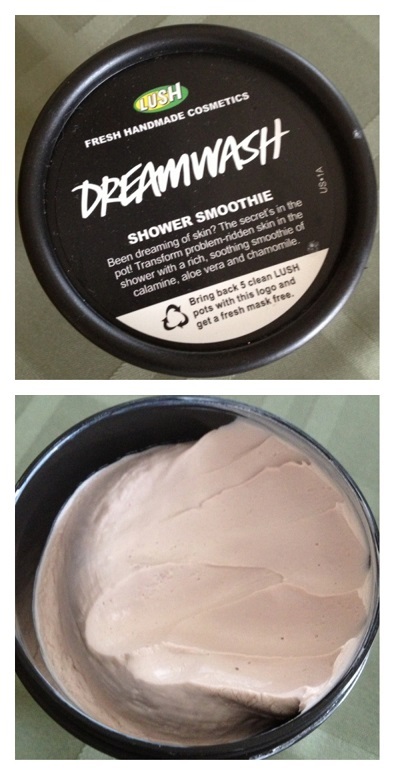 I really like this, but I have a feeling that this won’t last long (like many Lush products). For $22.95, I’d hope to get a few months use since this is body wash. But, it takes so many scoops to cover your entire body since a little bit doesn’t go a long way. Since the product is not designed to lather, you have to keep returning to the tub for more scoops. I’ve had this for nearly two weeks and I’m pretty sure it will last another two weeks. Meh. 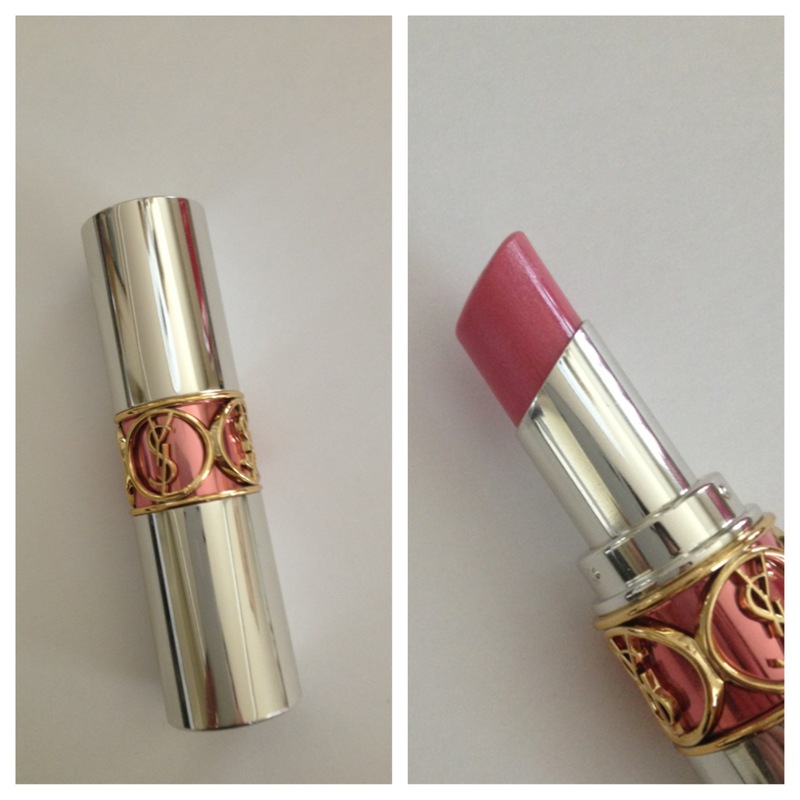 For a long time, I avoided the YSL Volupte Sheer Candy Glossy Balm Crystal Colors because 1.) I was afraid to fall in love with them; and, 2.) I wasn’t sure they were worth the hype. I know, such mixed emotions, right? :) As a recent treat for myself, I caved and purchased the Sheer Candy Glossy Balm Crystal Color in Tasty Raspberry #12, and I’m happy to report that I love it and sad because I want more. Marketed as a “glossy lip balm,” it’s easy to dismiss this product as an overpriced lip balm that works just like the Revlon Lip Butters. I can say already that this item isn’t necessary nor is it life-changing by any means, and the only reason why people purchase this product is because it’s pretty, smells divine, and makes you feel fancy. The texture of the formula is very hydrating and glossy — essentially, this is an all in one product with color, high-gloss shine, and hydration. Normally, I would layer on some regular lip balm before any lip product application. However, with this, it does save a step. 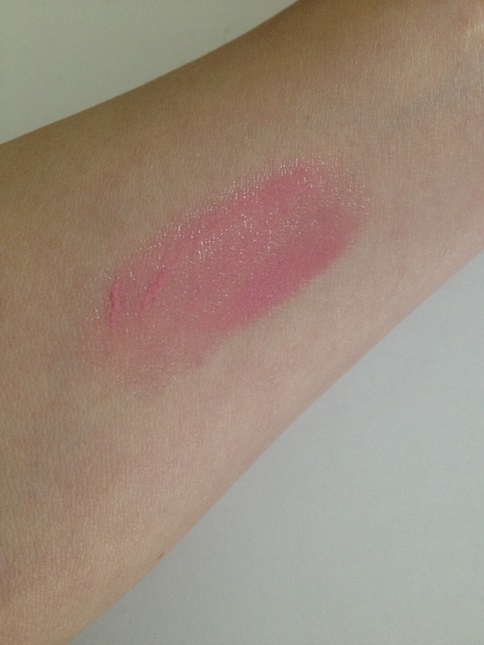 The shade “Tasty Raspberry” is a natural color that mimics my natural lip tone. Because the colors in the range are so bright and vibrant, I was uncomfortable with going with something that was too loud, lol. The feeling of this balm is amazing on the lips and even the LINES on my lip are totally erased with this product. Hydration and color pigment are long-lasting, even though conversation and morning coffee; and, even after the color and balm itself has worn off, my lips aren’t dry at all. I totally recommend this as a treat. In my opinion, I’d choose these babies over the Chanel Rouge Coco Shines — for sure. The process of makeup application can be a complicated mission if you’re not sure what tools you need to use. 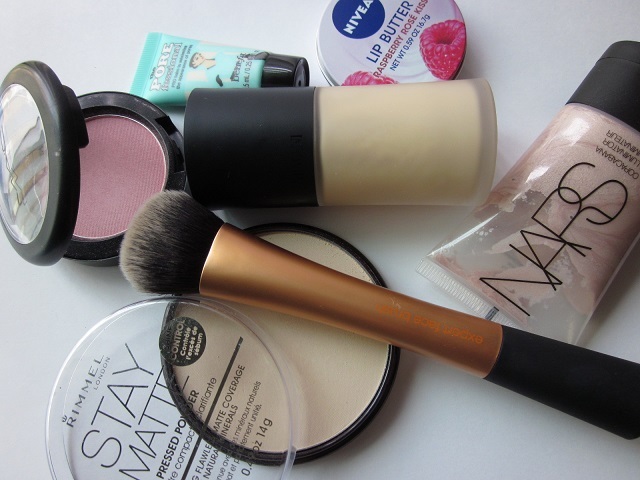 While I believe that using your fingers/hands can be just as useful, knowing which tools can be beneficial to you is a big part of helping your makeup look good and last. I’m a big believer in makeup brushes and feel that with proper care and maintenance, they can last forever; therefore, investing in good quality brushes is important. As always, it’s best to find a system that works for you, your skin, and your products. I own brushes from all different brands and different price points — I like to purchase brushes for their function, rather than brand name — and, I have brushes that I’ve purchased from Target and Walmart to ordering much pricier brushes from MAC, Laura Mercier, Shu Uemura, etc. The point is to find what works best for you. For my primer, I’m still using the Benefit POREfessional and it’s still my current fave. I admit, there are times I wear this on its own after sunscreen — just because, even on a makeup-free day — it’s nice to conceal and “block” your pores! For base makeup, I’ve been mixing my GA Luminous Silk Foundation with the NARS Illuminator in Copacabana. It dilutes the foundation a bit, giving it a thinner and lighter consistency while giving my face a brightening effect. I apply the mixture with the Real Techniques Expert Face Brush as always. Because the weather’s been getting hot and humid, I’ve been using the Rimmel Stay Matte Pressed Powder for the t-zone to avoid looking like a grease ball. I’m still in a rut with lip products, so I’ve just been relying on Nivea’s Lip Butter in Raspberry Rose Kiss. I love these things and have purchased multiples to leave them in my purse, my school bag, my desk, my vanity, etc. :) I’ll be posting another Face of the Week soon. Now that I’m resting at home, my routine is totally focused on radiant and dewy skin rather than wearing foundations or BB creams. Well, it appears that with the warmer months now here, I’m in need of something lightweight on my skin that will also hydrate and protect as well. While I’m always going to be a foundation junkie, during the summer months, I gravitate towards tinted moisturizers just out of convenience more than anything else. It’s important to not confuse tinted moisturizers with foundations and BB creams — coverage will inevitably be limited and only quality TM’s will hydrate and protect — in my experience. There’s a variety of formulas and textures out there; but, for me, I need something that won’t melt off my face. Not all tinted moisturizers are created alike, but this list can get you started on the right path. The TM’s I’ve tried are: NARS Pure Radiant Tinted Moisturizer, the Chantecaille ‘Just Skin’ Tinted Moisturizer, Benefit You Rebel, and the Laura Mercier Tinted Moisturizer (which I liked at first, but returned later because I didn’t like the finish). Of course, you’re not limited to just tinted moisturizers. After all, with a plethora of BB creams and CC creams out on the market, you’re bound to find something that works for you during the summer. Another helpful option, for those of you who are more sun-conscious — can be the Shisedio Sun Protection Compact that is excellent with hotness, sweat, and the humidity. More recently, I reviewed the Shiseido Urban Environment Tinted UV Protector, and it proved to be an excellent source for sun protection with coverage and hydration. Happy summer! :) What are some of your summer essentials? Previously, I thought a good mascara could only be determined by its formula. While experimenting with various Japanese brands, I’ve come to the conclusion that the secret is all in the wand — really, it’s all about the application process. I look back at failed mascaras of the past, and wonder if the wand had been different — if I would’ve felt differently about it. However, with Asian lashes, everything gets a bit more complicated. Not only do Asian people have short, spare lashes; but, we also have very few pieces of them as well. There’s no use having a giant brush that claims to be volumizing, if there’s not actual pieces of eyelashes to volumize. With that said, I’m loving comb brushes now. Before, I wasn’t a fan of this wand style. The trick really is find one that fits your eyes hape. Enter Fasio Ultra Curl Lock Volume. As a longtime Japanese mascara lover, this would be one of my faves. While I have liked other Japanese brands I have tried, this one does everything — holds the curl AND provides volume. It’s hard to find a formula that does both. Normally, you get the curl hold but no volume; or, you get the volume, but your curl fell upon immediate mascara contact. 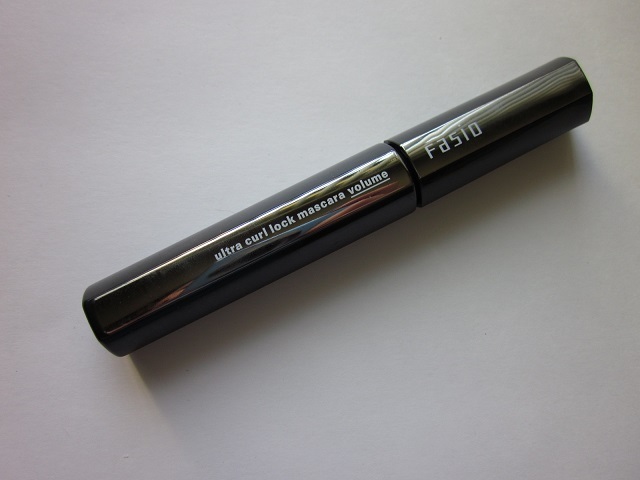 Out of the Fasio mascaras I’ve tried and review, this is my favorite. 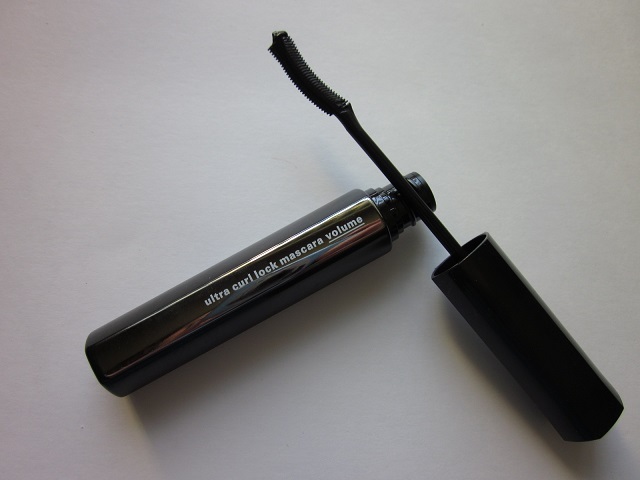 About six months ago, I reviewed the Fasio Ultra Curl Lock Mascara LONG, but it lacked volume (although it did lengthen slightly). I had to layer my tried and true L’Oreal Voluminous mascara over it get the volume I wanted. Recently, I reviewed the Fasio Hyper-Stay Mascara Magne-Plus Curl Long, but found that the straight wand wasn’t my favorite (but it was still workable). The Fasio Ultra Curl Lock Volume is my favorite because it does everything I want + the ease of application, which just makes everything super easy. The wand is unique — a comb with teeth on one side and flat comb with ridges. Nonetheless, the slight curve helps to fit right under the lashes — making application extremely easy and smooth. 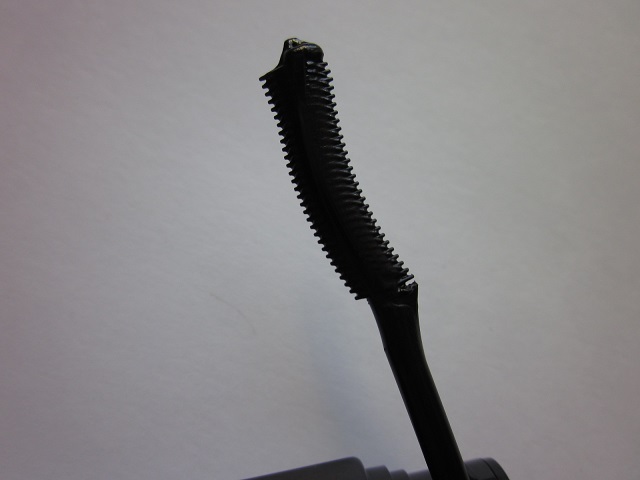 The Fasio Hyper-Stay Mascara Magne-Plus Curl Long had a straight edged wand, so I had to continuously manipulate the application, by twisting ad turning to get the mascara to apply correctly onto the lashes. With the curved wand of the Ultra Curl Lock Volume, there was no need for extra wrist action; the wand did all the work for me. All the Fasio mascaras mentioned here today are great and I recommend all of them. But, if I had to pick my favorite, this one would be it. :) Remember that this mascara, like all Japanese mascaras, are difficult to remove. There’s no need to make it complicated: just use a cotton pad with an oil-based eye makeup remover and hold it over each eye. Gently wipe and wipe away until all visible traces of mascara are gone. Then, when you’re going over your face with an oil cleanser (this is great for breaking up any excess mascara leftovers), gently run some over your lashline. Rinse. So various things have changed with my eyebrows in the past 5 months: not only are they thicker, but I’ve been filling them in fuller. This post will discuss two separate issues for the bold brow — 1.) how to grow in your eyebrows; and 2.) how to fill them in thicker. If you’re like me, I’ve been overplucking my eyebrows for 10+ years. In fact, I didn’t even know what my natural shape looked like until I stopped plucking. Our natural shape exists for a reason, so don’t fight it. It’s what’s going to look best on your face shape — thanks to mother nature. Step 1: Stop plucking/threading/waxing. It’s going to look messy and make you cringe for a few weeks, but it will be worth it in the end. I left all the new growth alone, and only plucked to maintain absolute strays — meaning, the hairs that really didn’t belong there. Usually, for me, that was like 3-4 pieces of hair per eye every week or so. Step 2: As your hair grows in, your natural shape will begin to take shape. Leave it all alone, making sure that you only pluck absolute strays. Remember that patchy and uneven growth is normal and to be patient. I used Rapid Lash to help the process along. I had some stubborn areas that just refused to sprout hair. However, I noticed in some places where there’s not meant to be hair, no amount of Rapid Lash helped. I supposed that’s what brow powders and brow pencils are really for! Step 3: Condition your brows. Much like your lashes or the hair on your head, your eyebrows are still hair and need attention too. For me this was simple — at night when I was doing my night time routine, I just made sure to take my eye cream up to by brows and rub some cream in the hairs. I can’t scientifically prove if this did anything, but it helped my naturally-sparse brows look shinier and healthier. Step 4: Re-shape the new growth. I’ve let my brows grow in for 5 months and only recently did it get easier to fill in. For months, it was annoying looking at the patchiness. By re-shaping, I mean plucking what would be a uni-brow (in between the brows) and close to your eyelids. Pluck only the strays and leave everything else alone. I noticed I’m reaching for the tweezers less since I’m not forcing on a new shape — constantly plucking every morning. I only pluck the strays now every few days or 1-2 times a week. I also noticed that my face looks more balanced — from the way my nose looks to how my eye are framed. Before, my brows were much, much thinner and heavily arched. There was nothing natural about it. Also, filling them in is easier when I’m not drawing my brows on and I’m just filling them in quickly with some brow powder. 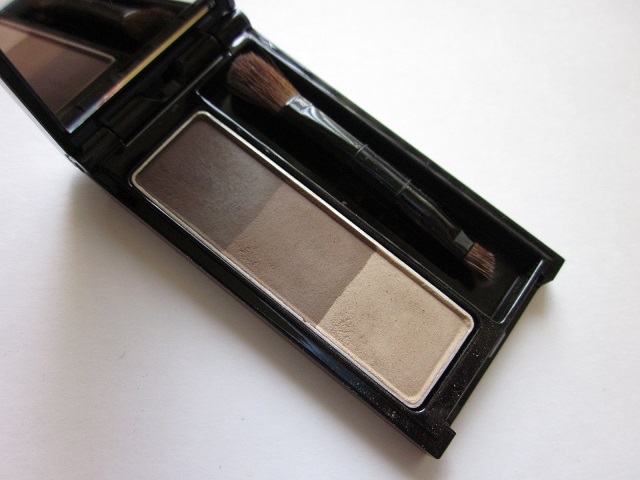 Filling in your bold brows: I’ve purchased a new eyebrow powder and new eyebrow brush (that I reviewed here). As mentioned in that review, I’m a big fan of the Louise Young Brushes that are now available in the US on the Nordstrom website. 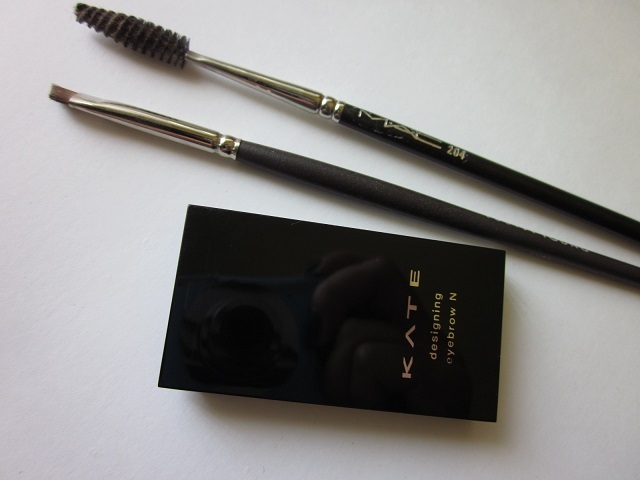 Previously, I was going back and forth with various MAC shadows for my brows, and now I’ve converted to using the Kanebo KATE Eyebrow Powder in EX-5 (dark brown). With the new powder and my newly grown in eyebrow hairs, I find that filling them in takes less time since I’m not trying to draw in anything. 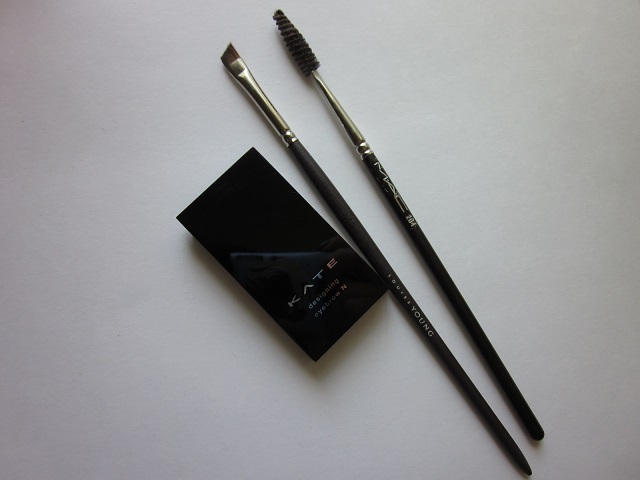 With the LY31 angled eyebrow brush, I’m able to get just the right amount of powder all the time; and, everything transfers beautifully and easily onto my brows. Indeed, my brows are still growing in and I’m going to continue to leave them alone. I’m assuming all together, this will be a 6 months + journey. Also, I can’t remember WHY — to begin with — I plucked so much hair from my eyebrows. I’m grateful that they’re able to grow back!